And day by day continuing with one mind in the temple, and breaking bread from house to house, they were taking their meals together with gladness and sincerity of heart, and having favor with all the people. And the Lord was adding to their number day by day those who were being saved. I don’t like it when most people use Acts 2 as the key model for the church today! Yup you heard me right. But look at all the incredible things that are going on! How can you not like Acts 2? The reason is simple. Some of the activity in Acts 2 is wonderful. Much of the activity you see is impossible! (what are you nuts). So here is the deal – the problem with Acts 2 is that it is Pentecost, one of the three festivals God required all the males to present themselves before Him in His chosen place. When you read Acts 2 remember that people had come from all over the world for this required festival. They did not have dorms open at the university so many Jews would open their homes in hospitality to guests and visitors in town for Pentecost. Some might have been extended family and thus used this to visit home like Mary and Joseph hoped when the census was called. Here is the short explanation – When Grant and I and hundreds of other pastoral teams converged on Moody Bible Institute it was for the Pastors Moody Conference. Pentecost was like one of the big three conferences / festivals back in New Testament times. When we are in Chicago we are doing many of the things they were doing in Acts – we visited each other in the dorms, we shared meals together with gladness and sincerity of heart, we visited with others from around the country, we shared a lot of things in common, (maybe too many things), we worshipped together, we had special gatherings. We even had a sense of awe when God spoke to us through a message or had a particularly fantastic worship time. But maybe there is something to learn – one of the great challenges of the church where you live is that we are so busy doing “our thing” in life that the idea of the church having enough shared experiences together to have favor with all the people in that community is way beyond our missional vision. It simply becomes just another (religious) thing to do and we are NOT going to get smothered by church activities all week…right? BUT it may also be the reason why the church is so ineffective in seeing people come to Christ on a regular basis too. Jonathan Brooks proposed that the first century church had a different reputation in the community than we do. The first century church was so invested and connected to the neighborhood that their presence and love earned a huge deposit of “relationship equity” which provoked people to say “wow, that’s different”. Jonathan proposed that we have spent too much time trying to market our message rather than living our message. Most of us live unremarkable lives that may attract mosquitoes (my add – sorry) but it is not provocative enough to attract people to our message. We are stuck in our routines, and some even intentionally avoid those in their neighborhood because we like our privacy. Some of us might admit we are more concerned about our plans that God’s mission. Families want more experiences than more friendships… well I maybe over exaggerating of course and this is a question only you can answer for yourself.  By the way – did you know this is one of the purposes of our Community Groups – to invest in our neighborhoods, to care for people and to be encouraged to care about the lost – join one!